After a warm, wet day yesterday, winter has returned. 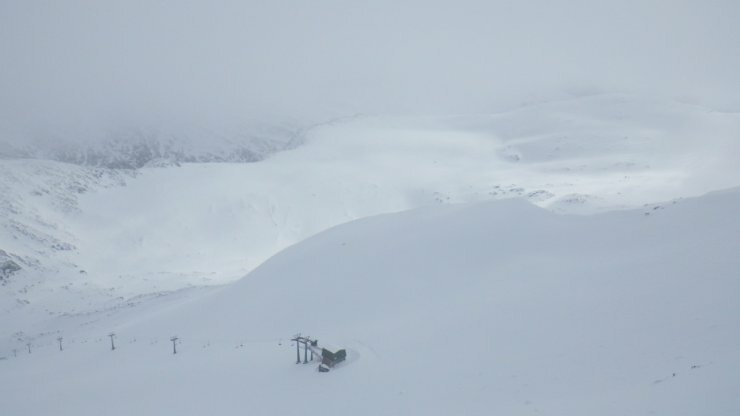 After overnight snow today was mainly dry and cloudy with occasional snow showers and some sunny periods. Poor visibility in the cloud but excellent in the sun. 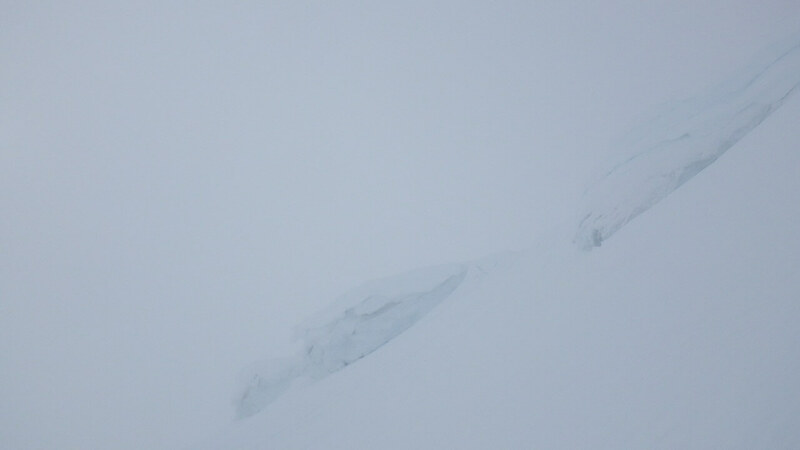 Cornices above Coire Dubh in fairly poor visibility this morning. Plenty of snow both old and new in Coire Dubh, Aonach Mor. 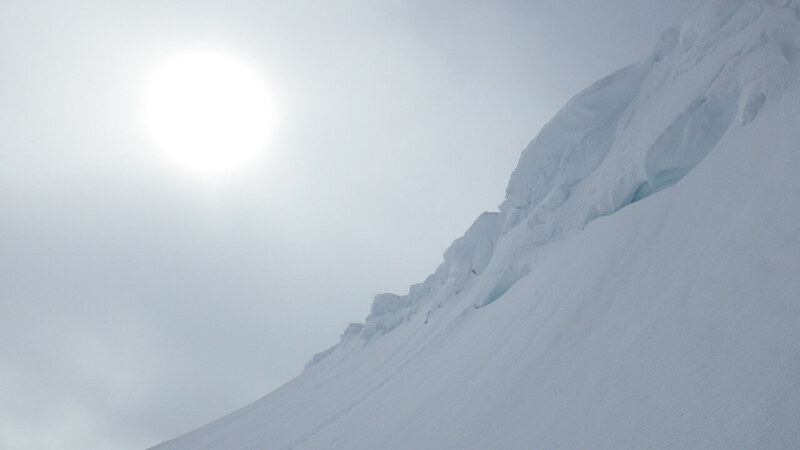 Large cornices above an East aspect on Aonach an Nid. Aonach an Nid from the North. 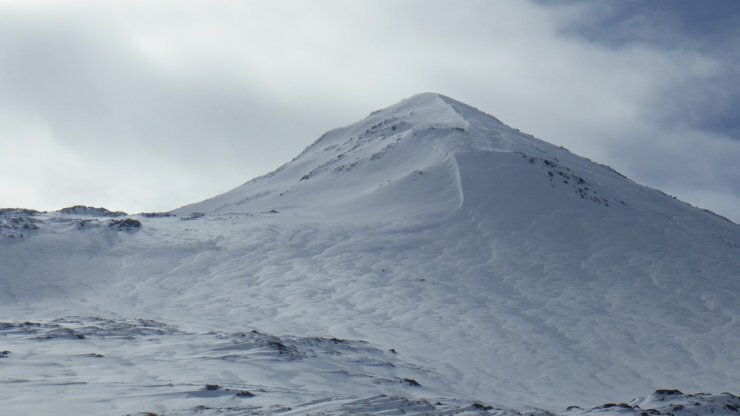 Soft snow to the left (leeward, East) side and mainly frozen older snow to the right (windward, West) side of the obvious wind lip running down the ridge.